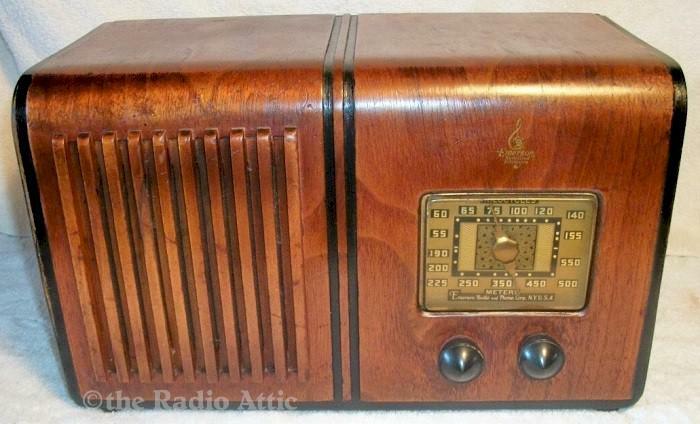 Here's a nice little five-tube AM set, a Superheterodyne radio that has lots of power, picking up stations far and near with ease with its built-in loop antenna. The cabinet is in beautiful condition with a very nice finish. It has a lighted dial and a good back cover. 13"W x 8"H x 6-1/2"D.
You are visitor number 2,683 to this page.